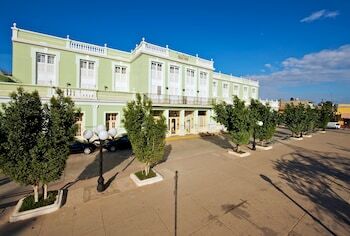 With a stay at IBEROSTAR Grand Hotel Trinidad in Trinidad, you'll be a 1-minute walk from Cespedes Park and 8 minutes by foot from Colonial Architecture Museum. Featured amenities include complimentary newspapers in the lobby, dry cleaning/laundry services, and a 24-hour front desk. Free self parking is available onsite. With a stay at Hotel E Meson del Regidor in Trinidad, you'll be just steps from Plaza Mayor and Colonial Architecture Museum. Located in Havana, Mirador Del Mar is within a 10-minute drive of Santa Maria del Mar Beach and Playas del Este. Free self parking is available onsite. With a stay at Villa Los Pinos in Havana, you'll be within a 10-minute walk of Playas del Este and Santa Maria del Mar Beach. Free self parking is available onsite.